Alright, this one should be quick. 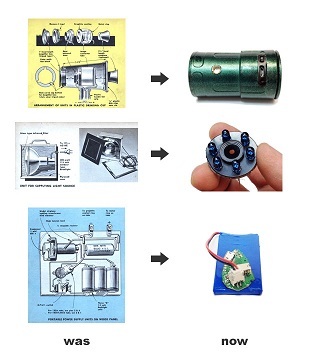 Near-visible infrared light cameras more or less come free with any CMOS camera. Most visible light cameras have a filter that blocks infrared light, but by removing this filter and adding one that blocks visible light and passes infrared, any CMOS camera can be used to record invisible light. I’ve actually done this myself on an ancient Creative Webcam, and there are a number of cheap infrared cameras available on the market. These aren’t going to produce the heat-vision you may remember from Predator which resides in deep infrared, but as long as you have enough near-visible infrared light around (usually produced by IR LEDs mounted on the camera itself), you can see clearly what the eye cannot. So yes, this isn’t too complicated. These are all tried and true technologies. My only real concern is with the “magnet mount”. They show it snapped securely to an iPhone 4 or 4S, but I’m pretty sure there isn’t enough steel in an iPhone to support such a device magnetically. Though they claim you only need “metallic surfaces”. Strange they don’t specify “ferromagnetic” materials because I’ve never seen a permanent magnet that can stick to aluminum or magnesium. So here’s what I’m guessing happened here. There isn’t enough steel in an iPhone to securely mount the camera with a magnet, so for the live demo, they needed to use an iPhone case with some kind of steel plate in it. For the still photo, they must have either used another adhesive method or just Photoshopped it. The lack of reflection on the phone leads me to believe that the latter is true, but it isn’t clear. What is clear is that they went through pretty great lengths to hide that iPhone case. The case they chose matches the color of the phone and even has the iPhone text and product certification badges printed on it. So there’s another bit that’s kind of confusing here. 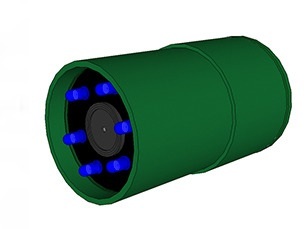 There are multiple references throughout the project description alluding to some older form of snooperscope that is being updated by this Kickstarter project. These were in use long before the invention of CMOS and operate using an entirely different technology (using many high voltage parts), so I thought it strange that the Snooperscope team decided to focus so much on this bit of history. 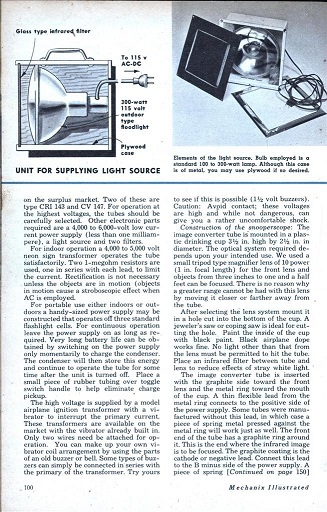 It looks like they have plagiarized large portions of this 60+ year old magazine article. Why do that? Is it really that hard to re-word something in your own voice? They even go so far as to reproduce some of the experiments from the magazine such as the India ink demonstration. My first thought was that these guys were in some way personally linked to this article, but I couldn’t find any source of that from my searching. 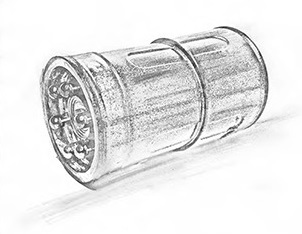 Though the term “snooperscope” outdates the Mechanix Illustrated article, the Snooperscope website was only registered this past October, so I have to think that there isn’t any kind of long-term connection. I’m really just confused here. 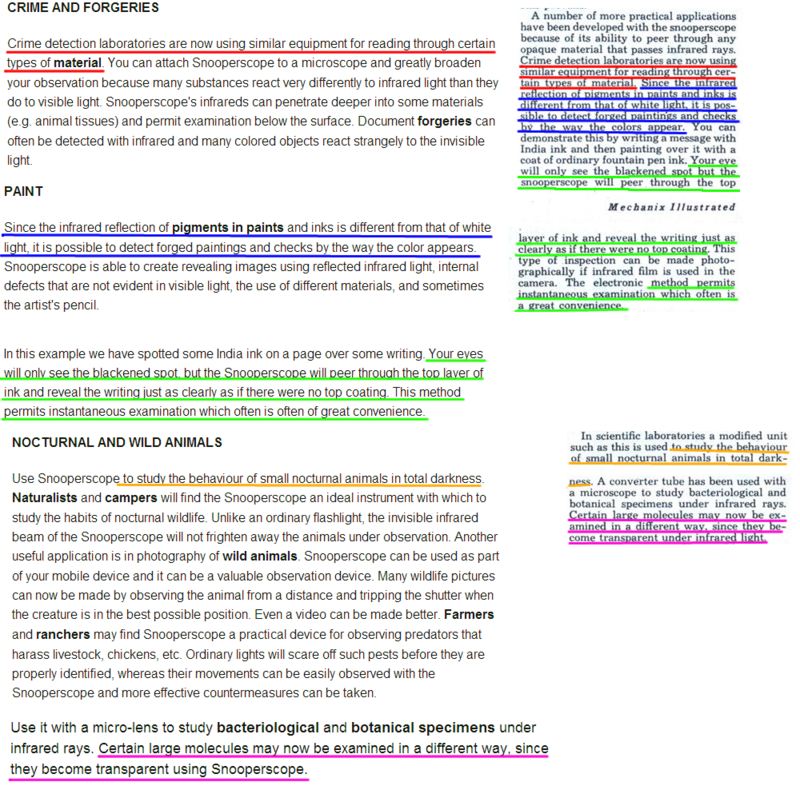 They had to add a ton of text to make sense of the sections they plagiarized anyway, so why bother with the plagiarism? 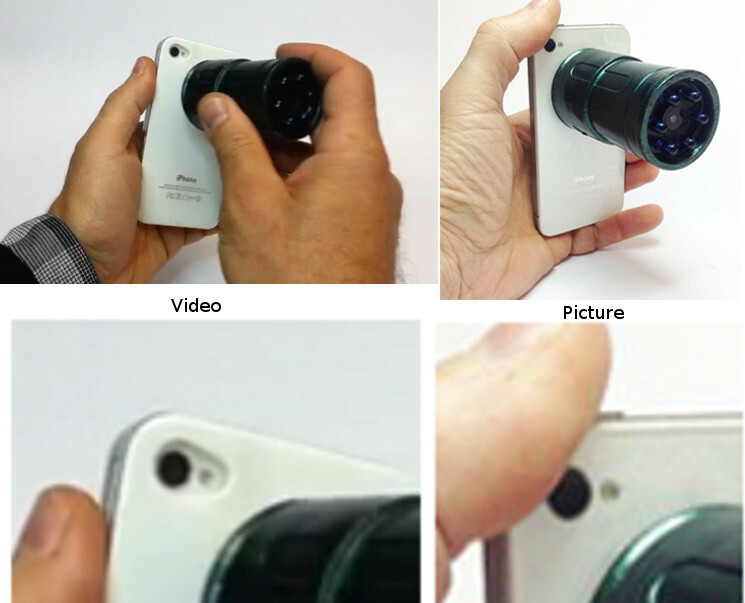 They have a number of pictures and sections of their video detailing the steps they took to develop the Snooperscope which is a pretty common practice on Kickstarter. The idea is to show to the backers how far they’ve come in their development and to hopefully give the backers some kind of confidence that progress is being made. 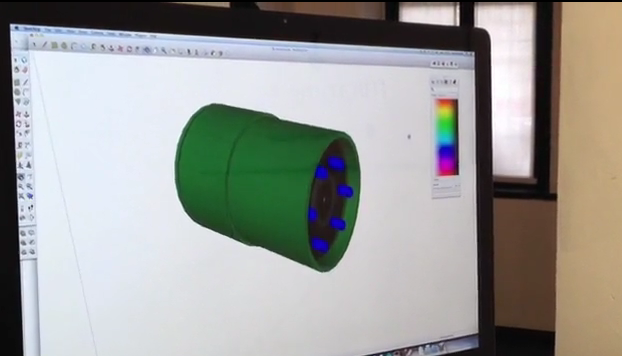 So they show this “hand-drawn” sketch of the prototype. 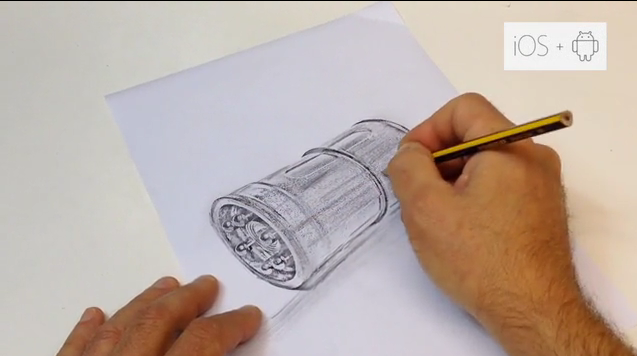 Guy hand-sketches absolutely flawless rendering of final product before any of the mechanical decisions have been made. These decisions include minute details such as how many ribs are on the ring around the lens and what the surface features of the device look like. Guy applies “sketch” filter on Photoshop and pretend scribbles on it with a pencil. Don’t those toolbars look familiar? 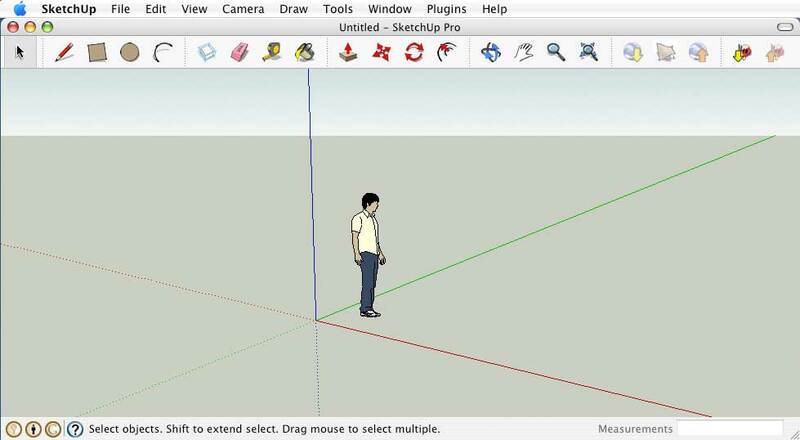 Sketchup is a free CAD program by Google designed for architectural drawing. It is absolutely abysmal to use. It’s great for quick shapes and size/spacing comparisons, but it doesn’t support any of the features necessary for proper product development. In fact, the software can’t even accurately render details in the sub-millimeter range. It’s really no surprise that their 3D model is lacking so much detail; it’s basically impossible to do anything beyond that simple tube shape. 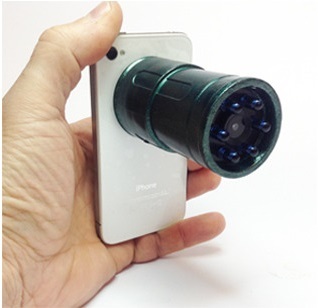 My first thought was that Snooperscope was another Vybe-type project where they took an off-the-shelf product and buffed it up a bit. This would explain the attempts at producing process photos after the fact for a product that they didn’t create, and it could explain the general laziness with a project description copied from an old magazine. An hour of Googling however didn’t turn up any results. So I don’t really know here. The product itself is solid and even trivial compared to some of the stuff we’ve seen, but these guys have a lot of explaining to do with their incredibly sketchy marketing materials. This entry was posted on Saturday, November 30th, 2013 at 12:46 am by ch00f	and is filed under Kickstarter Campaigns. You can follow any comments to this entry through the RSS 2.0 feed. You can leave a comment, or trackback. Wow, fascinating read and great investigative work, you have so much detail in this piece right down to the computer programs they use in their video. 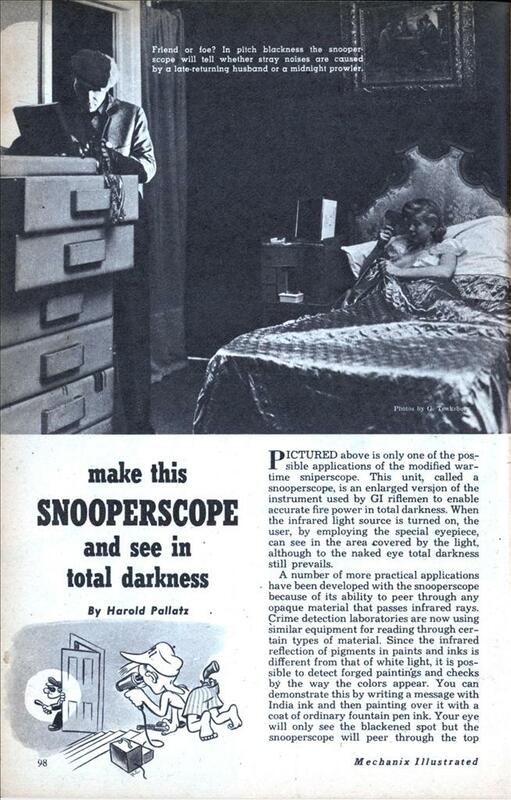 I was happily surprised by the depths to which you explored Snooperscopes claims. I’m also very intrigued by the goals you have behind this blog-a watchdog of kick starter. If you ever are looking for a free contributor I would love to help in any way I can and also learn your process.